A happy life is not a stress-free life, but a stress-proof life. To celebrate my birthday, I opted to do a solo backpacking with no specific place in mind. What I did was went to Batangas pier and ask the earliest boat trip there was, and luckily, there was a trip going to Puerto Galera in just less than 15 minutes. It was my first time going to the area, although I was able to roam around both Oriental and Occidental Mindoro before. There were two drop off points in Puerto Galera, based on the trip schedules given by Minolo Shipping Lines (MSL) — Muelle pier and the famous White beach. As a solo backpacker, it was a bit pricey going around the island so I just opted to go to areas which I could just walk. It was fun, although exhausting, since I really was into hiking and trekking. For my accommodation, I stayed in a house of a local. It was not as good as the hotels along the beach but it was fine since I just needed to stay there for the night and it was very cheap. Also, my trip there was very brief since I went there on a weekday and I could only spare at most two days since I actually got a work! I therefore stayed there just until before lunch the other day . Puerto Galera is a home to great beaches where you could swim and do a lot of other recreational activities such as banana boat riding, jet skiing, and parasailing. 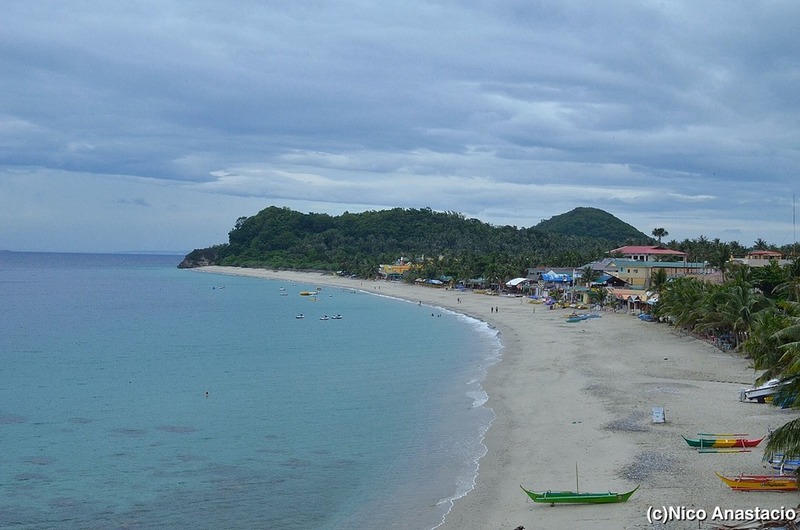 Among the beaches of Puerto Galera, the best would be in the area of White Beach. The color of the sand here is white, thus its name. 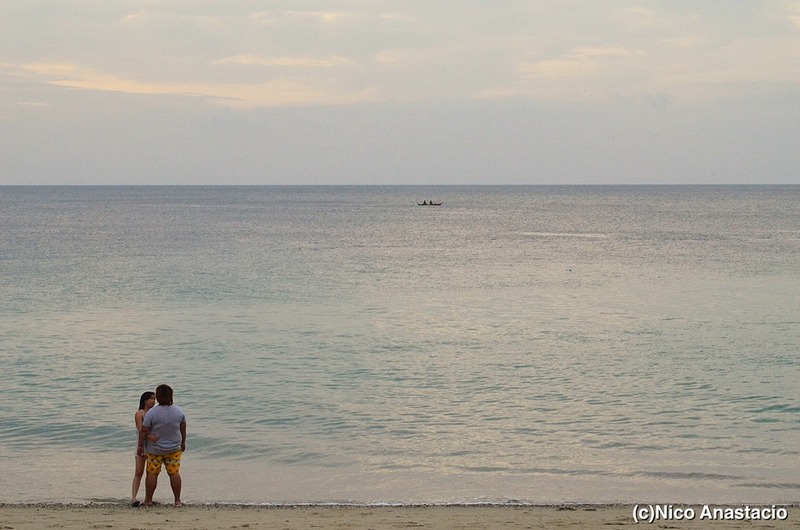 Once you walk along White Beach, you could also enjoy two other beaches— Tamaraw Beach and Aninuan Beach. Although I was not able to visit Sabang, which was more known as the night life area, I still enjoyed the night life experience along White Beach. I did not drink (alcoholic beverages), but I did enjoy the public shows that were given by some of the bars and restaurants. 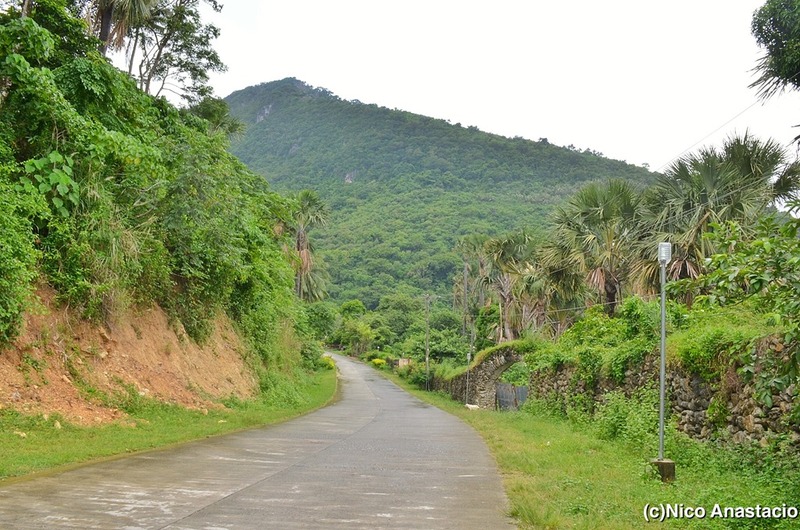 Travelling to Puerto Galera would not be complete if you would not visit our Mangyan brothers. From White beach, you could opt to ride a tricycle or walk (which I did), going to Sitio Talipanan, Barangay Aninuan. 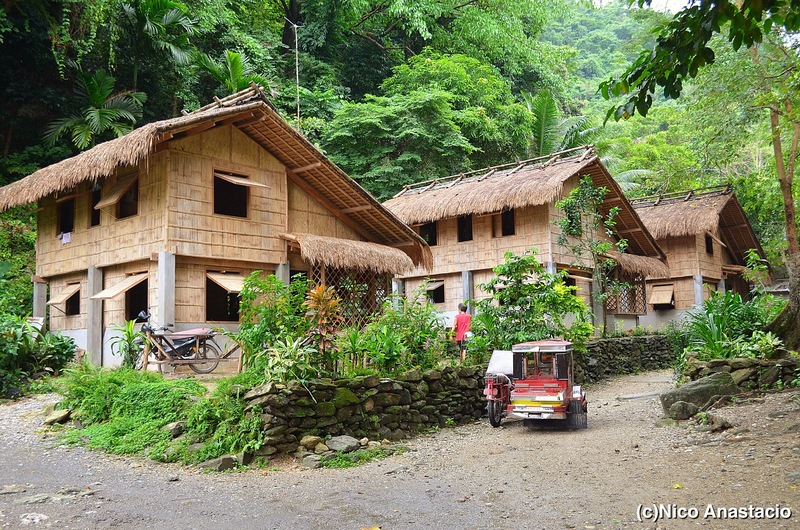 The village had about 30 houses, most of which are a combination of traditional Mangyan and modern architectures. It was very fun roaming around the village where you could watch how the villagers make some woven products. Although it would still be better to climb Mt. Malasimbo, trekking around the island was still nice especially when travelling alone. 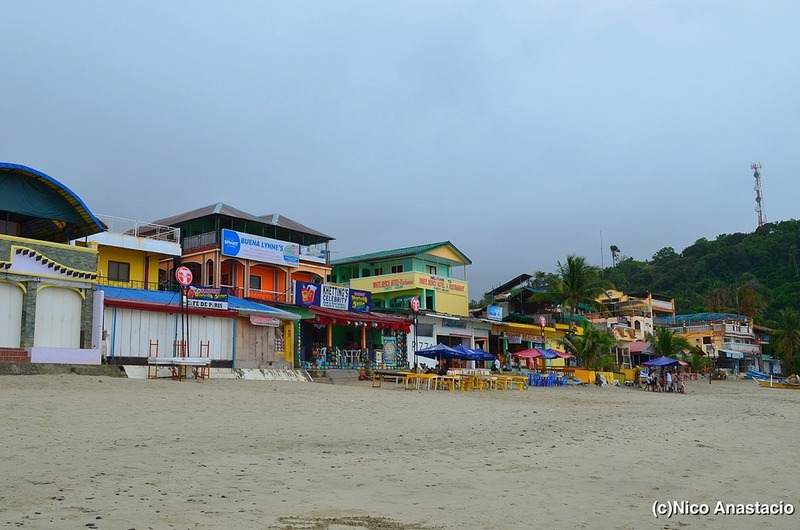 The island of Puerto Galera has a lot of attractions that anyone would really appreciate even just along the roadside. During my walk from White beach to Talipanan, I was able to enjoy the community, especially the long stretch of beaches, the view of the mountains, and some old resorts. 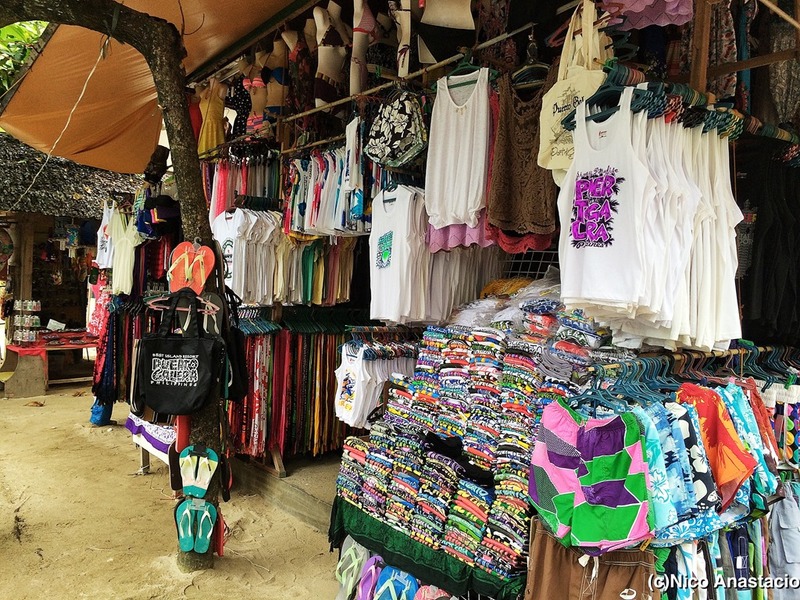 If you want to buy something for your family, friends or even for yourself, just like other tourist areas, Puerto Galera also have good souvenir shops which offers a lot of items for a very reasonable price. They have shirts, sandos, bracelets, placemats, shorts, among others. Although I only spent a day in Puerto Galera as I needed to go back home for my work, I was able to really enjoy it. The solo backpacking experience really gave me a time to rest and breathe some fresh air. When I left, I took nothing but pictures, I left nothing but memories. For more photos, pls go to the Life Gallery. Do not forget to bring your own trash especially when you plan on having a picnic along the beach. It was really frustrating to see a lot of trash along the beach since it did not only degrade the aesthetic appeal of the area but it could also affect the health of the ecosystem. Trek if you must if you really need to maximize your money. The fare in the area was very pricey since it was really a famous tourist destination. If you are not very particular picky with rooms, as well as its location, you may try looking for a budget inn or any transient rooms in the “second layer” or the area farther to the beach. During my visit, I stayed in a transient house and paid only Php 400. Prior to your expected time of departure, you should ask the staff of the shipping line to verify the schedule again. During my trip, I expected to depart from White beach at around 10am based on the trip schedule given to me at Batangas Pier. However, when I asked the staff of the shipping line, he told me that I needed to be at White beach at exactly 9:15am to catch the trip as there was no 10am trip since there were only few tourists during that time.